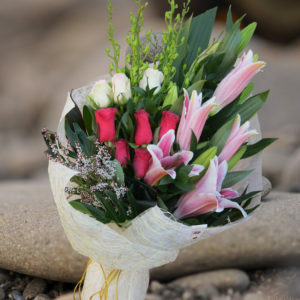 A guarantee gift to grasp attention of your recipient, either your mum-in- law on Mother’s Day occasion or to congrats new baby girl of your business partner. 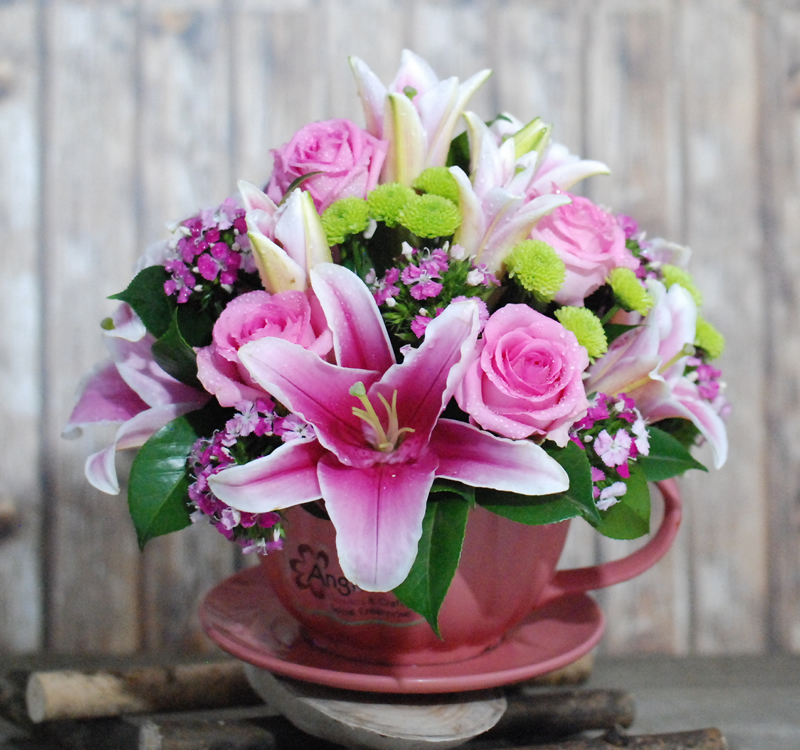 A pink arrangement of roses, lilies and mix flower to create a variety and express love and care to you love one. It is a must to take an express your love now by just simply order online or call us for help on (02) 8866 0131. 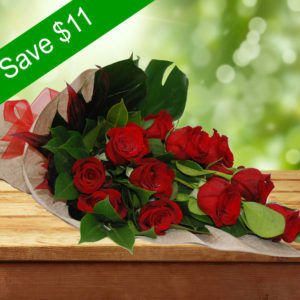 Fresh flower is delivered to Sydney region only, $10 flat rate. 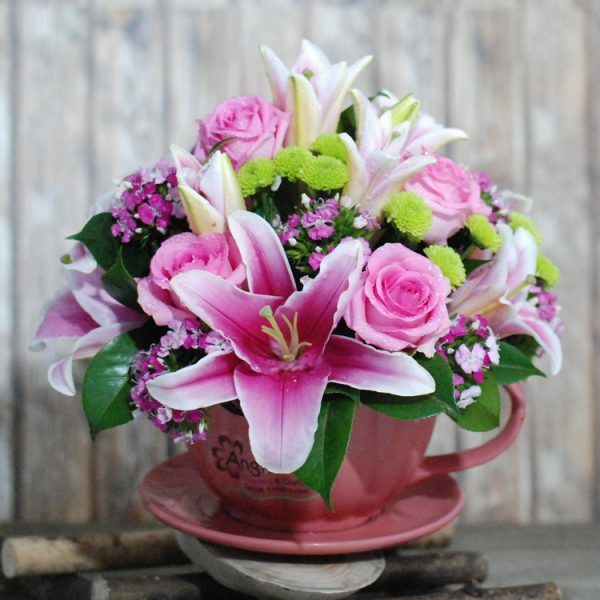 In case out of season or unavailable, we may substitute green foliage or baby flowers, but maintain main flowers, shape and colour as the design.